Where Can You Listen to the Best Live Music in Jackson, MS? Why the Natchez Balloon Festival Is One of the Best Events of the Year! Get Spooked at Some of the Best Haunted Places in Jackson, MS! Why Fireworks at the Reservoir in Jackson, MS, Is the Best! Here Are the Top 3 Historic Cities in the South! Here Are the Best Jackson, MS, Fourth of July Events! The Natchez National Historical Park Offers the Best Lessons on Mississippi History! Reignite the Spark With These 4 Mississippi Romantic Getaway Ideas! Shopping in Greenwood, MS, Is a Local Favorite in the Delta! Why You Need to Spend Your Afternoon at the Jackson Zoo! Discover Some of the Best Wedding Venues in Jackson, MS, for Your Special Day! Your Date Is Solved at One of These Theaters in Jackson, MS! Enjoy a Fun Day of Shopping in Jackson, MS! Enjoy an Evening Out at the Amazing New Stage Theatre! 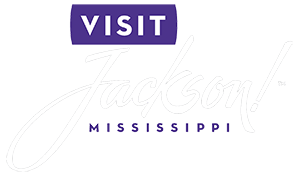 Attend Some of the Best Festivals in Jackson, MS!